A Floating Storage and Offloading project in the Norwegian Sea is to benefit from high-end products for data and process control from MacArtney & Moog Focal. MacArtney has secured a contract from APL Norway AS, a Norwegian Mooring and Loading Systems provider - part of NOV Completion & Production Solutions. The scope of supply covers a Moog Focal Low Voltage Electrical Optical Swivel (LVEOS) and a Medium Voltage Electrical Swivel (MVES) for the Equinor Njord Bravo FSO project in the Norwegian Sea. Njord, an oil and gas field in the Norwegian Sea is located about 30 km west of Draugen. Water depth in the area is 330 meters, and the field development consists of Njord Bravo - a floating steel platform with drilling and processing facility, and Njord A – a floating storage and offloading (FSO) vessel. 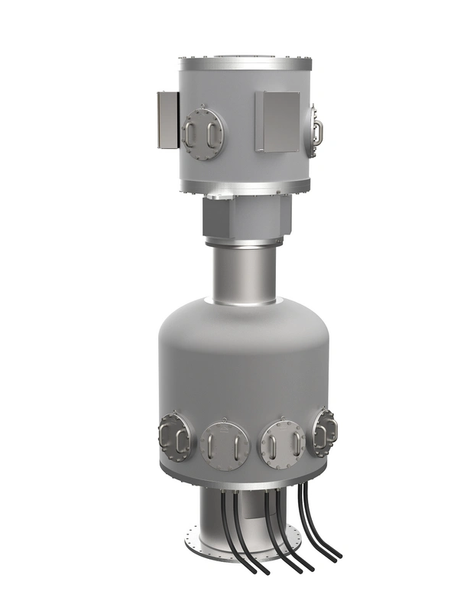 The LVEOS is an advanced swivel that has a 420 mm diameter central bore with connections for multiple optical channels, capable of data transmission at 1 Gb/s. This combined with hazardous area certification and communication electronics for the vessel and the platform provides a safe and reliable communication solution from end to end through the rotating swivel stack. The MVES includes the required power passes for 12 kV electrical supply and is designed to interface with the LVEOS, which will be installed above it. As global partners, Moog Focal Technologies Corporation and the MacArtney Group have had a long-standing and strong business alliance, which provides cutting-edge expertise and support to their customers. Representing a wealth of marine experience and knowledge with many years of experience working with Moog Focal products, MacArtney and Moog Focal enjoy a successful partnership. The MacArtney Underwater Technology Group is dedicated to maintaining a strong global presence. With 20 Group operations supplemented by a distributor network of 24 companies spread across the world, MacArtney solutions are always available locally - with full global support. Moog Focal Technologies Corporation, a Moog Inc. company, designs, manufactures and delivers unique Floating Production System (FPS) swivels, junction boxes and ancillary equipment to meet the demanding requirements of offshore operators worldwide. As a privately owned corporation, with group headquarters in Esbjerg on the west coast of Denmark, MacArtney Underwater Technology has been supplying products and engineering solutions for four decades.